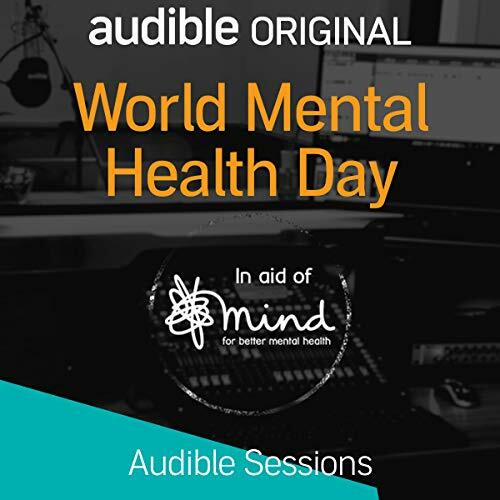 In this World Mental Health Day Audible Sessions Special, nine celebrities discuss their experiences with mental health. We hear what their mental health problems feel like to them; their experiences of speaking to friends, family, professionals and the public; and the things that can help them feel better. In these conversations, we cover topics from social media to suicidal thoughts, and we say that whether you sometimes find it difficult to leave the house; you have anxiety, depression, or OCD; or you need to airplane your phone every now and then to stop it becoming addictive - that’s okay. Featuring Susan Calman, Clarke Carlisle, Marverine Cole, Bryony Gordon, Matt Haig, Matt Johnson, Katie Piper, Vicky Vox and Simon Webbe. This episode was created in partnership with Mind, the mental health charity. If anything in this programme has affected you or you would like to speak to someone about your mental health, please call the Mind Infoline on 0300 123 3393 or visit the Mind website, mind.org.uk. Loved this. Really echoes my own experiences with depression. Funny and very relatable. One to keep in my collection and relisten when the time is needed so i don't feel alone. If someone doesn't have someone that they can talk freely with they should find someone. so originally I was having issues downloading this, and I even had to call audible help desk- I was just about to give up and write if off like it wasn't going to be worth my time anyways... but it was, this is only 30 minutes but great info, and totally relaxed and relatable stuff!!! As someone who struggle with mental health daily it was refreshing to hear l am not alone in my dark days. This was just what i needed to hear. I have experience in most of what they have been through, but listening to them talk about their issues, just reaffirmed every technique and process i use to keep the beast under control. Even if you don't battle the beast but know someone who does, or you do battle in small doses, i could not recommend this more. Share and care. Encourage and empower. Thank you. Together we are stronger. I would love to share my story too. I am a ordinary person in this world yet, I believe, I too have something valuable to say. I hope one day my voice can help others in some way. So thank you for sharing so openly. May you all continue your journey of life as well as possible and receive any support you need along the way. Keep sharing. Keep caring.